Our first video for Catch More Fish TV had to start off with looking at giving a better explanation of why we fish with the Stonze, our natural stone fishing weights. 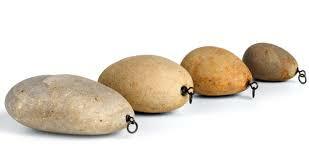 By replacing the lead with a natural stone fishing weight we remove any belief that our quarry will spook off the weight – something we cannot say in the case of a lead – or other man-made alternative. Our intention has never been to be arrogant about a topic we have intently studied but to actually design a fishing weight with a host of benefits that a lead will never have. This journey has ultimately led us to a tactical approach that we totally believe can increase our catch rates significantly – and every factual element points to why it does. There is no sales ploy here, we are like you — nothing but anglers, and if we can help our fellow angler catch more and enjoy the sport further it can only be a good thing – surely?